Japanese Noblewomen with child in 1810. Japanese Noblewomen with child in court dress. 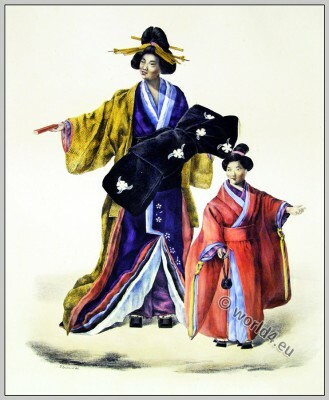 This entry was posted in 1810, 19th Century, Asia, Child, Court dress, Japan, Traditional and tagged Franz von Siebold, Kimono, Nippon on 6/4/13 by world4. 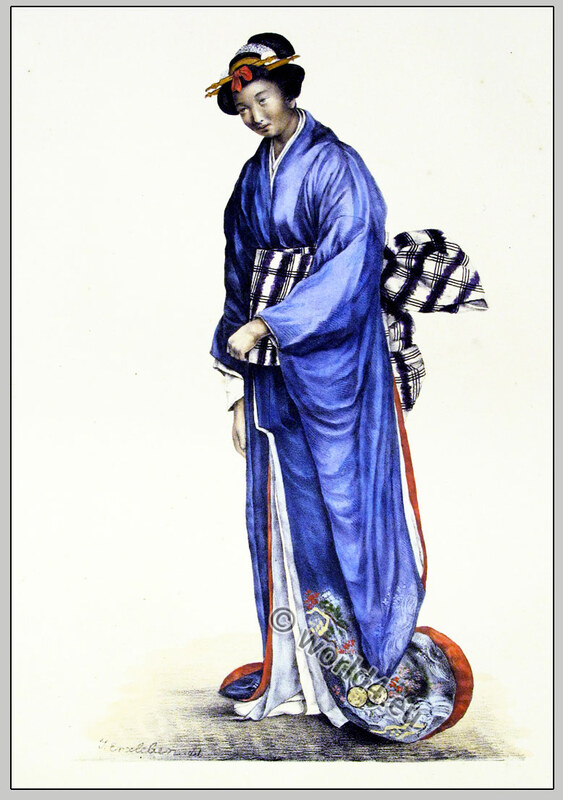 Japanese Nobleman in court dress, 1810. 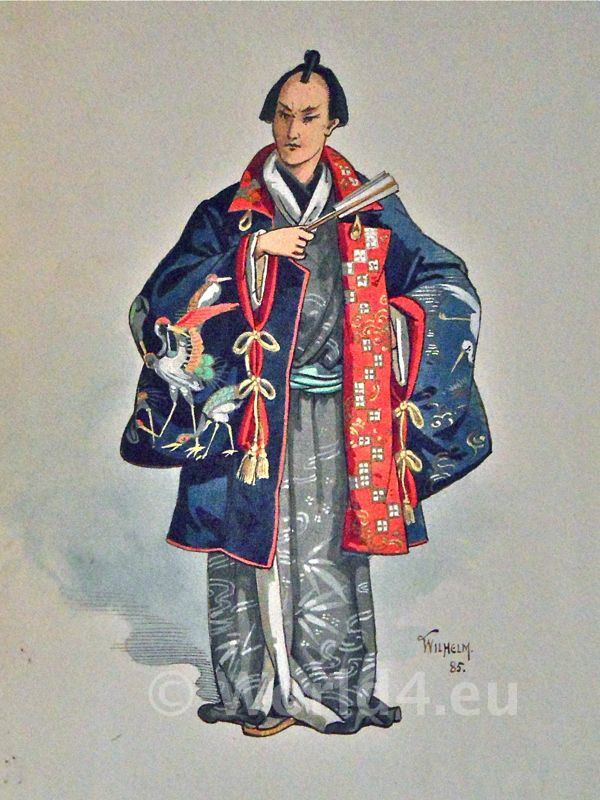 This entry was posted in 1810, 19th Century, Asia, Court dress, Hairstyle, Japan, Military, Nobility and tagged Franz von Siebold, Kimono, Nippon, Traditional Japanese costume on 6/4/13 by world4. Japanese woman with high rank. Japanese woman with high rank in 1810. Author: Philipp Franz von Siebold (1796-1866). Publisher: Leo Wöhrl, Würzburg und Leipzig. 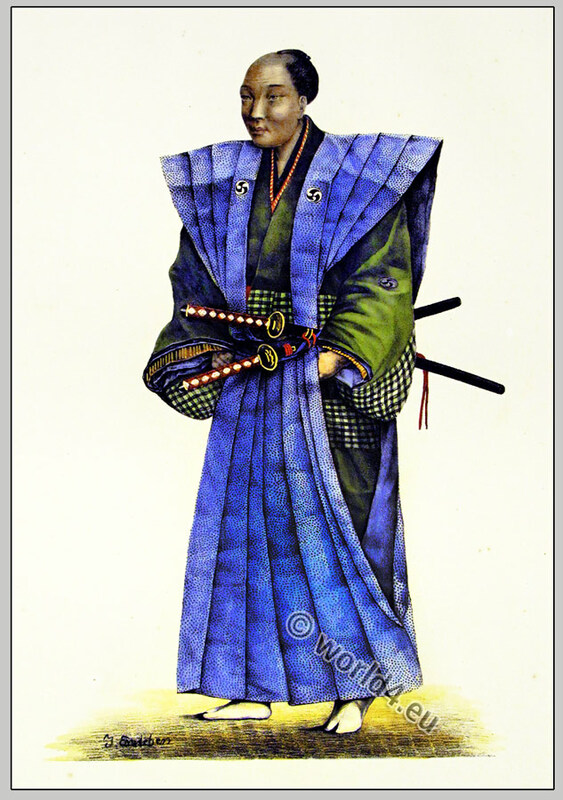 This entry was posted in 1810, 19th Century, Asia, Japan, Nobility, Traditional and tagged Franz von Siebold, Kimono, Nippon on 6/3/13 by world4. 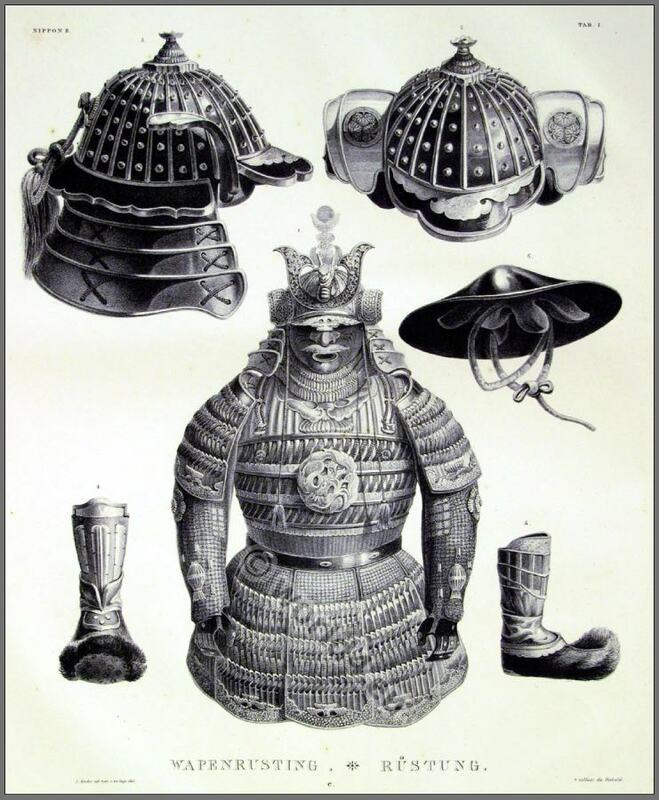 Samurai, warrior armor and weapons, Japan 1800. This entry was posted in 1810, 19th Century, Asia, Japan, Military and tagged Franz von Siebold, Japan Military, Nippon on 6/1/13 by world4. Japanese nobleman in historical costume and fan. Dressed in a beautiful kimono. 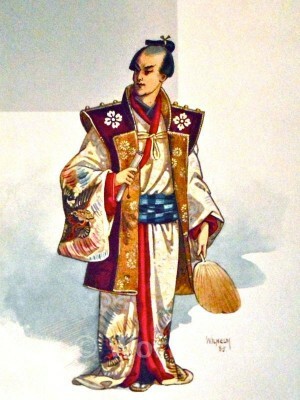 The illustration shows the fashion, hairstyle from Japan in 1800. This entry was posted in 18th Century, Asia, Hairstyle, Headdresses, Japan, Nobility and tagged Kimono, Nippon on 4/12/13 by world4. 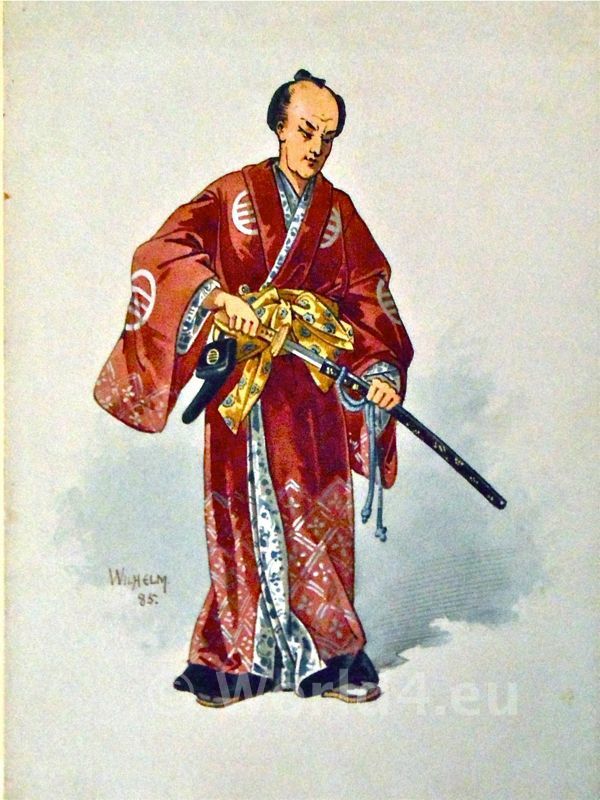 Japanese nobleman in historical costume with hand fans. Dressed in a traditional kimono. 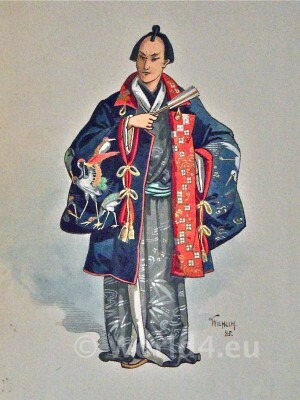 The illustration shows the fashion, hairstyle from Japan in 1800. Antique japanese kimono. Samurai 18th century. Japanese samurai in historic figure 18th century. Dressed in a beautiful kimono. The illustration shows the fashion, hair, weapons, the Samurai sword. This entry was posted in 18th Century, Asia, Hairstyle, Headdresses, Japan, Military, Nobility and tagged Kimono, Nippon on 4/12/13 by world4. Woman with child. Traditional Japanese clothing in 1920. 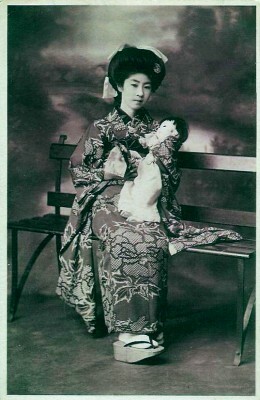 Japanese woman with doll or children. Traditional Japanese clothing and hairstyle from 1920. This entry was posted in 20s, 20th Century, Asia, Japan, Traditional and tagged Kimono, Nippon, Traditional Japanese costume on 6/3/12 by world4.